O.P. Jindal Global University (JGU) is established under the Haryana Private Universities (Second Amendment) Act, 2009 at Sonipat, Haryana, National Capital Region of Delhi, and is recognized by the University Grants Commission. ]GU has developed wide ranging international collaborations with a number of leading universities and academic institutions of the world. 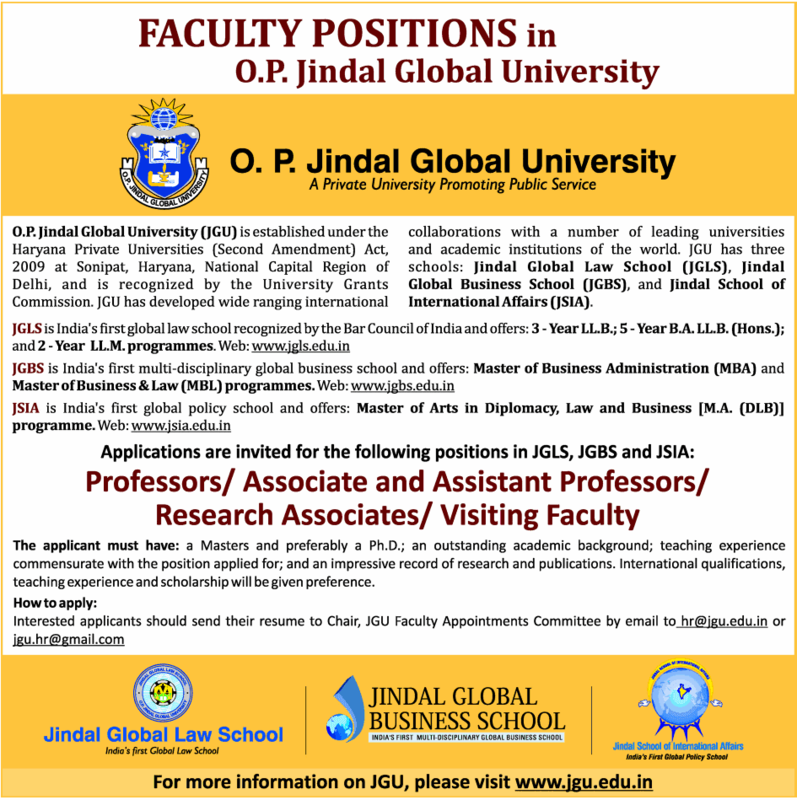 JGU has three schools: Jindal Global Law School (JGLS), Jindal Global Business School ()GBS), and Jindal School of International Affairs (JSIA). The applicant must have: a Masters and preferably a Ph.D.; an outstanding academic background; teaching experience commensurate with the position applied for; and an impressive record of research and publications. International qualifications, teaching experience and scholarship will be given preference.